Hotel Under Bridge is located on Maharani Bagh Road in Delhi. It is around 20 minutes away from New Delhi Railway Station and 28 minutes from IGI Airport. Famous landmarks within a few kilometres are Worlds of Wonder, Chausath Khamba, National Zoological Park, Purana Qila, Shish Gumbad, Safdarjung Tomb, Ugrasen ki Baoli, Jantar Mantar and many more. The proximity to the hotel to famous tourists spots is its speciality. Moreover, the elegant rooms are very well-designed in hues of whites and browns. The property offers ample of amenities. 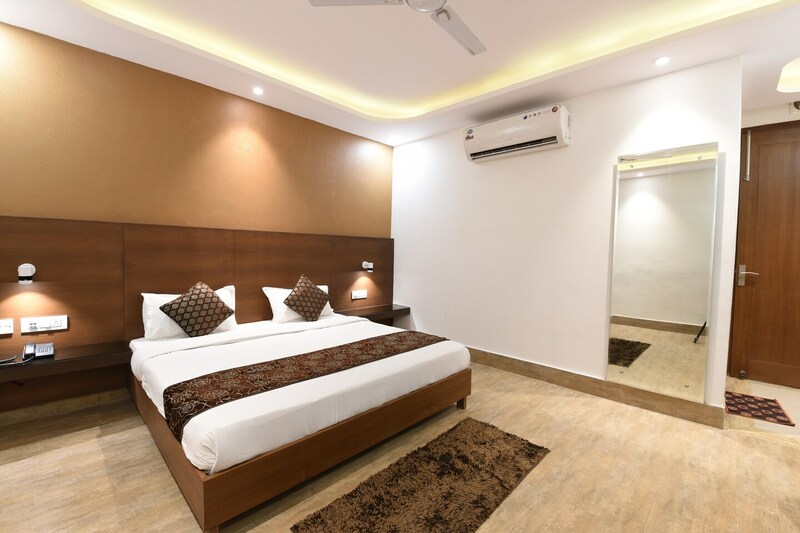 Mini fridge, king-sized beds, AC, TV, refrigerator in rooms and free Wi-Fi, power backup, banquet hall, parking facility and more.